This is a picture, believe it or not, of this year’s RTC Christmas Card. It is as big as a coffee-table book, ornately foiled, die-cut and hand-assembled. It is estimated that each card could have cost as much as $50 to print and assemble. The postage alone, on each card, was $5.00. It went out to “top Scientologists.” One of them, disgusted by the expense and ostentation, photographed it and sent us the shots. Here we have “the true spirit of Christmas” according to David Miscavige. Spend as much of parishioner money as possible to put on the biggest and most ostentatious display of excess that you can possibly put together. One of these, we assume, went to Tom Cruise. And we have to impress Tom, don’t we? Other copies I am sure went to all of the top IAS contributors – or, should we say, all of Miscavige’s top enablers. Why? To impress them with how well he shepherds their donations? Miscavige, here are a few things you could do, in the spirit of Christmas, that would impress me. And they would not cost you much. 1. Give all staff, including Sea Org, including Int Base staff, a real Christmas bonus (Christmas bonuses have not been paid in years). 2. Give all staff, including Sea Org and Int Base staff, at least a four-day weekend. During this time they are free to go anywhere and visit anyone they want (Int Base Staff have had no time off for Christmas for years). 3. Cancel Disconnection (for real) and allow any staff member or Sea Org Member or public to contact any family member they want to. 4. Collect up all those requests for staff to visit their families over Christmas and give them all a blanket approval. 5. Open up the phone lines for any Sea Org Member, including Int Base, to phone any family member – with no restrictions or censorship and no Security Guard or MAA listening in. That, for starters, would be impressive. Your over-the-top Christmas Card is not. Thanks for the heads up Rebel. “Think Big” is the policy as applied to extravagance too. Just like the 70 M RTC building. Wow. I guess I wouldn’t be so disgusted if it looked nicer. HA! Here is what your donations buy should be on the front of the card. I am with you Rebel on all of your requests to Miscavige. Here is another one though. How bout paying Sea Org members an actual wage based on current costs of living. Not 1971 costs. $50 a week (When you actually get paid) buys basically nothing. Once you get your hygiene products there isn’t much left for anything else. Not even some coke! Certainly not going out to the movies or anything else. I do remember when we would get some time off for the holidays! I really didn’t want to go back. But I did. I know pretty much 99% of SO members feel that way too. That is probably why they don’t get any time off! I saw this card, the center parts twirls, it looks like some sort of deadly meat grinder with it’s razor sharp edges. Just a huge waste of money. Rebel, while I am in complete agreement on your points 1-5 above, let’s try this on a gradient: For Int staff, how about just one friggin’ day off, and a phone call to relatives on Christmas? •	a modest Christmas bonus to boot! While that may not seem much by the standards of the rest of the world, believe me, for most of us, that little bit of humane treatment at that time of year went a long way. You’re response is perfect, and that is indeed from the original source that provided this photo. Go ahead OSA spies hunt as wolves as you are. It is what is. Call me when overtime happens. I remember every year I used to get a simple Xmas card signed with Love from Ron and Mary Sue. They are worth more to me than any of this gilded crap RTC is churning out. Marty started calling it the Church of Mestology and this is just another case in point. The graphics look sort of like something you’d expect from the Temple Set, a snow flake that looks like some kind of pentagram coming from the devil himself. On a lighter note JDL mentioned that he remembers the Bosun’s Party! Anyway, Rebel keep up the good work. Yeah I know what ya mean, JDL. The last thing I remember was some guy with a patch over his eye giving me a ladle full of “punch”….. The next day they we’re telling me what a great time I had! I registered Mestology.com a few days ago. Do you or anyone else know who may of coined it?? As far as Mestology, Antoine. The one I’ve seen use it so far is Marty and I don’t think he’d have any objection to you using it. You know, I registered Mestology right after I remembered an old cog I had while Staff in 1991. A shoulder-to-shoulder effort, you know? Once Done. THAT would be honest PR. For some reason, I first thought of Iceland, back then. And we all heard the falsity; “Iceland and Greenland at one time switched names to fool invaders”? Nothing true in that. It’s a lie. But it sticks. You know where I’m coming from…? No?? Well… Let’s just say, it’s not what name you use, it’s what you do with it. Has the vibe of a “Death Star” to it!! Where’s the joy in that symbol? The force flow that comes with anger and antagonism, is the emotion looking at that thing conjures up. Did you guys ever try the hot buttered rum? I did. Once. Arrrgggggg, matey it was for the rest of the night. Ahh the Bosuns Parties and the Beer and Cheese parties. Some good times there! I remember when every event was really a party and there used to be champagne served at the New Years event! Then all the Int Execs would come to CC to party some more after. Back when being in the SO was fun! Too bad even those moments are gone forever. I heard from a very reliable source that I did indeed try it! Though as I was trying to say, it was a rare personage who remembered anything after imbibing what that gang of pirates er….sea org members called their “special punch”! “Punch” I’d say was an apt indeed description indeed of that multilayered, multiflavored (something like a cross between moonshine and lighter fluid) many alcoholed swill, laddie!!! Also it could have been JDL who I tripped over on my way over there! Was that you I staggered into Jimmy? In case anyone wondered why no more bosun’s parties at int…it’s that card. The average bosun’s party pirate would’ve got cut up pretty bad when they ran into that thing, mates. Another great post. I cringe when I think of how much of a wonderful Xmas bonus just my card would have paid to a Sea Org member. What a horrible waste of funds. And I wonder how many SO staff it took, staying up all night, to “get the mailing out”. I feel sick. Don’t they realise that the pentagram is recognised by many Christians as a satanic symbol? Or was that intentional, I wonder? It’s more the symbol of anti-Christ(mas) than for Christmas. That the card was photographed and sent in to this blog goes to show how widespread the “disaffection” is and thank God for that. Left and right the crimes of DM are and will be exposed. I agree with Sherry, the idea that Sea Org members probably had to stay up all night getting this out, sickens me. Once again you are exposing the truth about Mestology. I believe it was SherryK who first came up with this word “Mestology” in one of her comments on Marty’s blog. If so, Thanks Sherry! 🙂 No matter who did, it is the most appropriate name for the current situation. It is LRH’s words vs DM’s actions. If anyone you send this argues with LRH, then obviously he/she is as SP as DM is. Right? UPLOAD A HIGHER RRESOLUTION VERSION NOW. The pentacle that’s point up is used by Wiccans. The pentacle that’s point down (like this one) is more generally associated with satanism, so that would be the common association for ths symbol. It even has the ring. I’m certain that would not have been missed, so I wonder if that’s why its point is ever so slightly off axis. Speaking as a Wiccan who chooses not to wear a pentacle of any orientation. I think that Antoine and RJ are on to more than a coincidence. The inverted pentagram shown at http://sc-i-r-s-ology.pair.com/whatthehell.html is a trademark, Serial No. 75613592, that once belonged to the “Church” of Spritual Technology (CST) but is now abandoned. 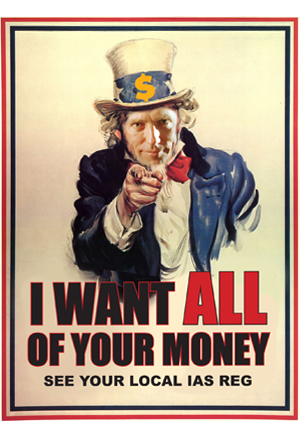 It is too funny when you connect the dots between Miscavige, CST, the IRS, and the IRS lawyers running CST and wind up with an inverted pentagram. Does anyone have any data to dispute the IRS connection to CST? If such a connection really exists, it does not bode well for any campaign to “reform” the church. The future lies outside the CofS and its IRS connections. I don’t know anything about this IRS connection. Sounds kind of far-fetched to me, and very “conspiracy-ish”. But what I do know is that AOLA is on the IRS org board, to wit: one of the OT eligibility questions as of about ten years ago is, “Are you in compliance with all tax laws?”, or very similar wording. So…AOLA is a branch of the taxpayer compliance division of the IRS?? really… why just DM… this organization is corrupt from inception…. all you have to do is watch Scott Mayers 1982 Clearwater Youtubes to understand that….. lets stop all this now … don’t be afraid you believers take a look if you really want the truth about scientology…..
ps how very convenient to blame all this crap on DM instead of the cult …..
Oh no not another Youtube video….yawn….. which means I gotta interrupt iTunes. Right up there with “curveball” on the reliability scale that they use in the other “most insidious cult in the world”. Hey speaking of “Burn Notice”! You guys into the new season? LRH got the stats up, unleashing massive case gain and theta, DM sent them down. That’s the key point. Well said Boyd. LRH made a difference UP. DM makes a difference DOWN. I recall back in the late 80’s I was driving down Union Avenue in Portland, Or. As I drove under the Morrison bridge I, out of the blue, started envisoning this scenario of getting down the line several years into the future and discovering the LRH and Scientology were nothing but a scam. Well, I really got into that mock-up for a while in order to really “feel” it. I was surprised that this notion was not devastating to me. 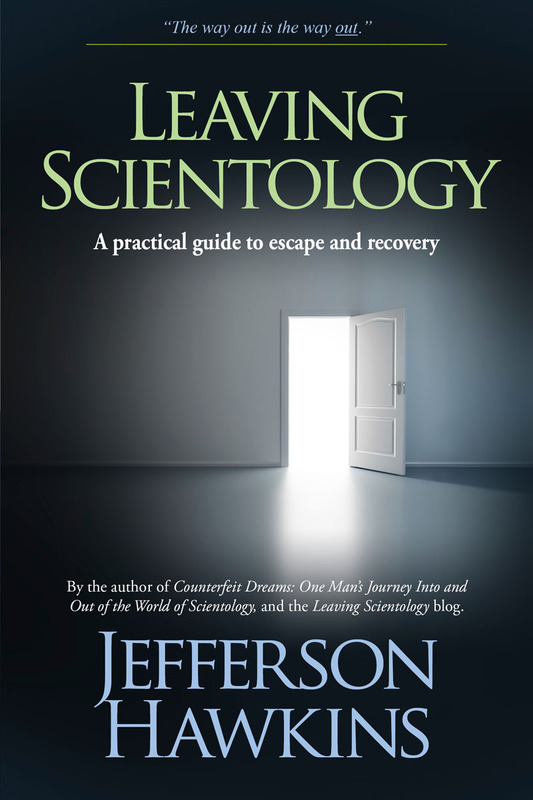 After wallowing in the scenario for a bit, the reality (mine) was that even if that were to happen, it would not invalidate everything that I have personally gained throughout my adventure as a scientologist. I can tell you are casual observers and in any profesional field one needs to his research. Please do this. OK on a comment or 2 , but please do your research. PS: Your you tube video doesn’t convince me or most on this website. Happy New Year. Barney and others: There is a point to be made here. I was in the Church and on staff for more than 3 decades. Back in the 1970s there was staff abuse, there were dirty tricks, there were black operations, hidden agendas, financial hanky-panky, stat manipulation and so on. To pretend that all of this started with DM is disingenuous and untrue. He has taken it to stellar levels, true, but to pretend that the Church was lily-white and was doing nothing wrong prior to DM just ain’t true. It’s revisionist history. Fishdaddy, you are absolutely right. I audited GO staff so I knew how dark it can get. You know as well as I do Fishdaddy that Ron, Mary Sue or even Jane Kember would have ever sanctioned a hit on anyone as “curve ball” Mayer is saying in his affidavit or in that hokey video. Much of what he says is pure fabrication and the rest of it is confabulation. If anyone wants to see the dark side of Scientology all they have to do is file an FOIA request to look at the files recovered from the LA and Washington raid. A lot of people who choose to judge completely ignore the zeitgeist of COINTELPRO, MH/CHAOS, SHAMROCK and other programs that US Government agencies were running against groups and individuals that included such things as illegal wire taps, flap and seals, black bag jobs, infiltrating agent provocateurs, harassing surveillance and other “fun and games”. Sure there was some retaliation but we weren’t the Weather Underground or the Simbanese Liberation Army. Seriously though, consider the zeitgeist. The fun and games that various US Government agencies were involved in under various code names such as COINTELPRO, MH/CHAOS, SHAMROCK which included illegal wire taps, black bag jobs, planting agent provocateurs and informers in various organizations in groups that were considered “subversive”. A good book to read on the whole scene ‘The American Police State’ by David Wise. Yeah I know it doesn’t justify the countermeasures taken. But at least we didn’t blow up stuff like the Weather Underground or kidnap Heiresses and rob banks like the Symbionese Liberation Army. This post is off topic. I just went to Marty Rathbun’s blog and it says that the author has deleted the blog. Does anyone have any data about this? At least for the moment, it appears that comments are turned off BUT the blog is back up. The Lives of Others — all about the Stasi (E. German CIA) — watch it. It’s fantastic and an eye opener. Also to fishdaddy — I was in during those early years as well. Very familiar with dirty tricks etc but less so as I was under the wonderfully protective wing of Yvonne Gillham/Jentzch — BUT for sure you must admit its been a steady downward hellish decent into utter madness since DMs reign. The sequence seems to me to be — expose DM etc … and then once everyone can breathe — some will find other paths (as you seem to have done, as I have done) … and the others can decide what they want to do ONCE they can think. Thanks RJ. Personally, I don’t pay much attention to ad hominems. I never knew Scott, so I can’t give my opinion of him, but I’m willing to listen to him or anyone and weigh it against my own experience and the testimony of others I do know. I also believe that the ends do not justify the means. Either you are going to live your beliefs or you aren’t. I don’t think there is a “they did it first” or “they were worse than we were” defense. Sorry for the doubled up response Fishdaddy, but one of them seemed to have gotten lost in cyberspace then magically reappeared. Though, it’s not as weird as what’s been going on over at Marty’s blog. He must of ticked somebody off royally because now he’s under some kind of cyber-attack. Fishdaddy I agree, ad hominem attacks become pretty distasteful, yet are the only thing that OSA does these days. I try to avoid these myself with levity. Scott to me never came across as credible, from what I’ve read of his published affidavit on the web and calling Scientology “the most manipulative cult in the world”, is itself ad hominem by definition. I can think of “cults” that are more manipulative. Especially the one alluded to in an earlier post. However, I defend his right to say these things, but I also reserve the right to at least lampoon what he says. Regarding the ends justify the means. Back then it was pretty easy to get caught up in that mentality especially with the prevalent institutional lawlessness that was pervasive, such as Vietnam, domestic espionage, Watergate and various other crimes of the state. True it is always better to take the high road, in the long run and avoid expediency. The GO could have continued to demand the documents they wanted by legal means through FOIA instead of pilfering them and being involved in various spy vs spy games, but at the time it seemed like a good idea. A solution to a problem. Too bad Jane Kember herself had maybe one or two mis-us on grade I tech. Especially the point about “solutions” themselves becoming problems. Personally, I audited GO staff myself and though I knew what shenanigans they were up to and actually understood why they were doing what they were doing. It doesn’t mean I condoned it. In fact when the AG PR told me they had launched a multibillion lawsuit against practically the whole fricking USG! I knew deep down that this David and Golliath story was not going to end up the way that it was written in the bible. Back then I was a dumb teenager, but even so I knew that they had made a grave tactical error taking on the whole Government instead of one agency at a time. I always thought after the downfall of the GO there should have been a postmortem or B of I on exactly what happened. Because it seems the only lesson “learned” by OSA is to go after the little guy, instead of some monolithic Government Agency. In other words they have reactively snapped terminals with the Government!